For the past few days, we’ve looked at the basics of learning a foreign language, practical ideas, and different learning tools that can be used when learning a foreign language. Today, we conclude this series wither several apps that are a great help! Duolingo is an app that is also helping to translate the internet and coveres some of the most common European Languages (and Mandarin in the future). It starts very basic and builds up as you go. There is no explicit grammar instruction but you learn from context and as you go. It’s not perfect (you don’t really do any speaking) and some of the sentence constructions are a bit strange (How likely is it that you will say “Our elephant is white”) but it is quick and easy to use so you can easily do some practice in a 5 or 10 minute gap. Memrise is basically a flashcard learning app. There is nothing wrong with flashcards but they can’t be your only method for learning. You can make your own sets so you can add words you learn as you go along. 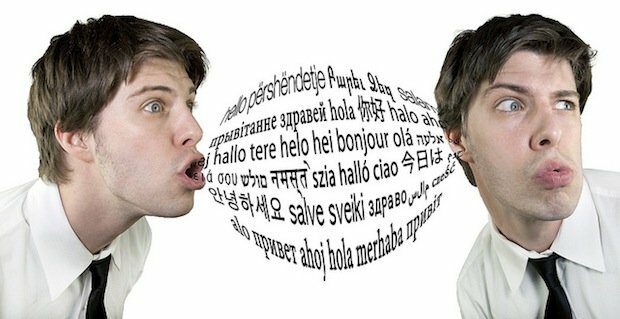 Imagine you learn some new grammar or words and record yourself saying them, then you have an audio (and visual of your mouth movements) of the language. You can build upon this and record a better speaker so you can analyse how to say difficult sounds or words. Lift is a habit app, you pick something you want to learn, sign up for it and then check in when you do it. If you do it two days in a row you get a streak going. Nice and basic self gamification motivation. You can also set a reminder to give you a prompt to do your habit. However, where Lift is different is the social side. When you sign up for a habit you join others who are trying to develop this habit. You can give each other “props” (similar to likes) and leave comments as well. People often share ideas they’ve had for learning and tricks they’ve tried plus you can encourage others too. If you’ve found any great apps or resources for learning a language then share them in the comment below!